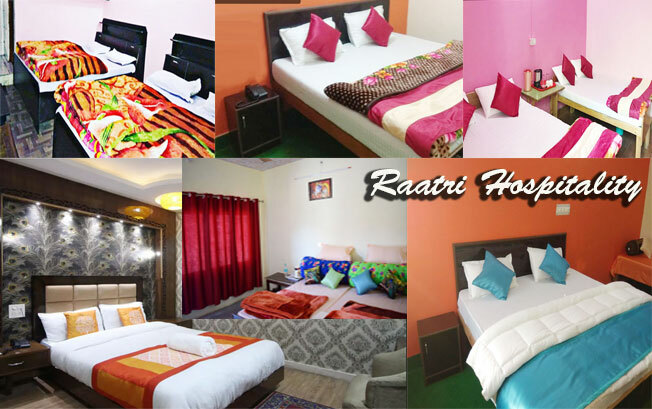 Raatri Hospitality offers you all type of hotels like Budget, Deluxe, and Luxury at all destinations. We also provide car rental services for different excursions all over India and Tour Packages for entire Uttarakhand. We have a large fleet of cars including jeeps, semi-deluxe cars, standard cars, luxury cars, semi-luxury cars, coaches etc. Our Raatri Hospitality can be modified to include various sightseeing spots in Uttarakhand to make your tours more stimulating. 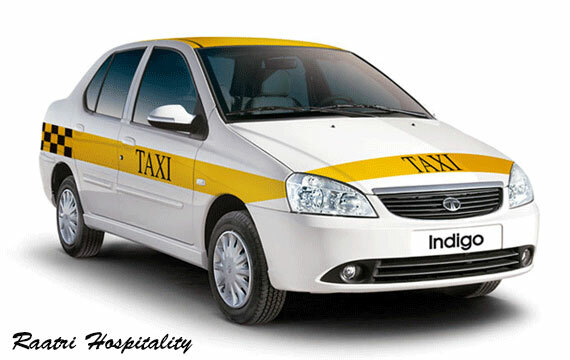 We also provide inter-city dropping facilities and Uttarakhand and pick and drop facilities for cities near Uttarakhand. 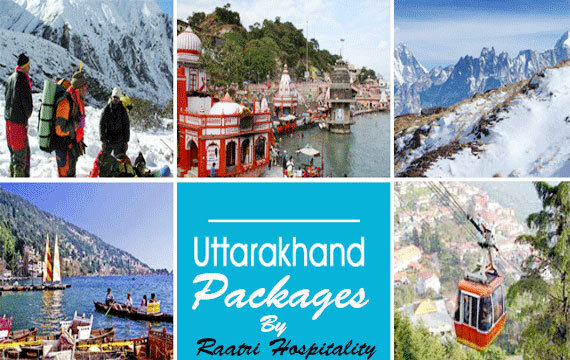 Raatri Hotels also provide Tour Packages for whole Uttarakhand in best Rate. There are a number of attractive destinations that captivates guest and leave them magic charm bound. Kashmir, Goa, Kerala, Rajasthan, Uttarakhand, Uttaranchal are some of the most visited traveler destination in India. Tourists from all over visit this truthfully sacred destination to catch the charming beauty of the India. contaminate it is only one destination in the world that offers with a variety of attractive destinations. Raatri Hotels serve you Online Hotels Booking in best rate. It is now possible to find a hotel and book within minutes any time of the day - from anywhere in the Uttarakhand. Expediency is one of the most imperative benefits of online hotel bookings. Browse hotels in the region you require at your free time, comparing features and rates easily. When you have chosen the hotel you prefer, simply complete your hotel booking online at a time convenient to you. Raatri Hotels also serve you Car rentals Services. There are several advantages of booking your holiday car rental in advance, not the least being cost. Most car hire firms will charge less for an advance booking than if you simply turn up at the desk, so booking your vacation or business car rental in advance will probably save you money - particularly if you book a car online. Raatri Hospitality is also provide trekking in Himalayas. 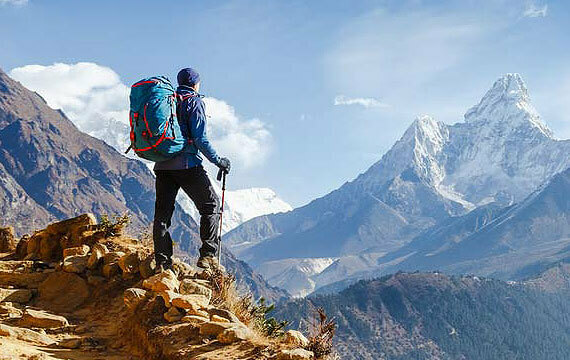 Trekking in Himalayas is must for every person who loves adventure sports. Trekking in this valley will turn out to be a life long episode for you; after all it's about facing the toughest challenge and winning the highest mountains in the world. Spending trekking holidays in the foothills of Himalaya will be an unforgettable experience for you even if you come just once in this dream valley. RAATRI HOSPITALITY LLP is a Unit of INDIA EASY TRIP PVT. LTD. Ratri Hospitality is one of the fastest growing hospitality businesses in Uttarakhand India. We provide the hotel services in whole Uttarakhand. Raatri Hotels offers you best Hotel in Uttarakhand, Packages in Uttarakhand, Car Rentals in Uttarakhand.